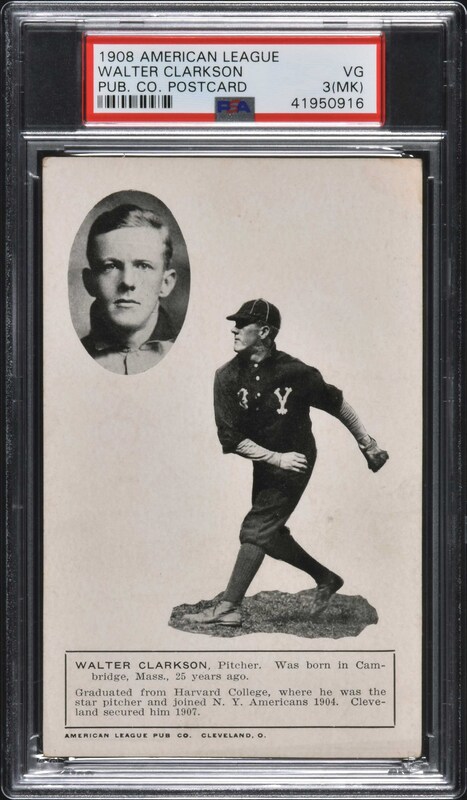 Lot # 135: 1908 PC770 American League Publishing Company Postcard Walter Clarkson - Highest Graded! Graded VG 3 (MK) by PSA (submitted by REA). This is the ONLY example graded at this level with none higher! Presented is an outstanding sample card from the 1908 American League Publishing Company Postcard series featuring Walter Clarkson. Clarkson is pictured in a throwing pose on the front of the postcard, with a small portrait in an oval alongside and statistical and biographical information at the bottom. The card presents with a crisp image, even corner wear (a bit more to the upper left), and a boldly printed traditional postcard reverse. 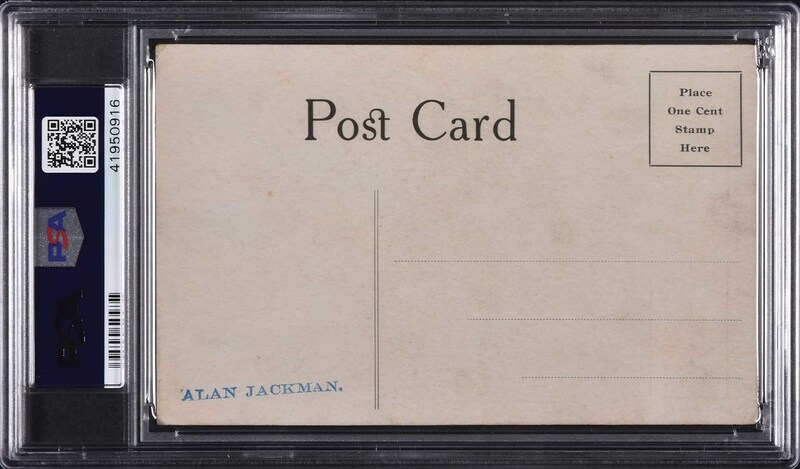 The card is qualified as "MK" by PSA due to an ink stamp ("Alan Jackman") on the reverse. This is a very attractive sample card from this rare issue that would be a worthy addition to any advanced postcard or type-card collection. Reserve $200. Estimate (open).